The Age of the Ereader is drawing to a close. That's the drumbeat this week, after iSuppli pegged the year-over-year decline of reader sales at a staggering 36 percent. It makes sense; why get a fuddy little Kobo when there are cheap Kindle Fires aplenty to be had? Turns out, plenty of reasons. Tablets are great, sure. But ereaders—in so many ways—are even better. Here's why. Okay, sure, you can get an $80 tablet from Walgreens. But you'll hate it, and hate yourself for buying it. Entry price for a serviceable 7-inch tablet is $200, which—unless you've got very deep pockets—isn't exactly pocket change. 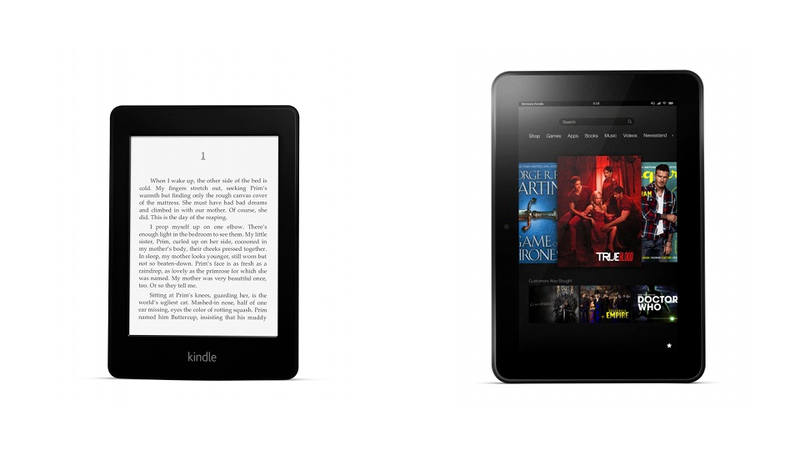 For just $70 bucks, though, you can get a very serviceable Kindle. Or an adorably tiny Kobo Mini for $50. You can pay more than that for an oil change. Reading a book on a tablet is like doing a headstand in a crowded subway car; it's possible, but there are way too many distractions. Let's face it, as much as you love Middlemarch, you love checking your email more. Notifications, tweets, messages, even a handy digital clock; these are the things that make tablets great multitasking machines and terrible reading devices. Sure, there are experimental browsers and half-hearted games for E-ink displays to choke on, but ereaders only do one thing well. The only thing you'll ever want to use it for is reading. And that's a blessing. The LCD displays favored by tablets won't damage your eyes, exactly, but they'll surely strain them. Retina displays have made tablets way more bearable, but they're still a pain to spend any significant amount of time with. If you like reading in more than hour-long spurts, that iPad's going to be a struggle. E-ink, though? E-ink is nothing. Neutral. No glare, no tired irises. It's a relief, given how much of our time we already spend staring at computers and phones, knowing that we can give ourselves a break. It's hard to remember in the middle of December, but there's something wonderful about reading outside on a warm spring day. And even if you don't want to sentimentalize it (jerk), our gadgets are only as good as the situations we can use them in. You've seen enough Kindle ads by now to know that ereaders work far better in sunlight than tablets (that glare!). But ever since the awkwardly named Nook Simple Touch with Glowlight ushered in the age of the front-lit ereaders, they're also preferable when the lights go out. Instead of a Galaxy Tab blasting shine around your bedroom, an ereader's glow is self-contained. It makes for happier reading, and happier sleeping if you happen to share a bed with a light sleeper. Tablets can do more, yes. Apps! Games! Streaming video! But in order to enjoy all of those wonderful accoutrement, you need two things: horsepower and space. And as games get more sophisticated and displays get more pixels, you need significantly more of both each passing year. The original iPad isn't even three years old, and it's already pushing obsolescence. Ereaders? They can already store more books than you'll ever need. Their displays can already refresh as efficiently as you'll ever hope. New models will come out every year, sure, with minor improvements here and there. But the ereader you buy today will be perfectly good four years from now. There's not a tablet in the world you can say that about. None of this is to say that you should get an ereader instead of a tablet. But don't assume that because you have the latter, you don't need the former. They're great, they're cheap, and they're not going anywhere.